I made this checkerboard for the Grandkids. I bought the lumber back in February & don't remember the red. Border is Katalox. Yellow is Canarywood. The base is Walnut with Katalox feet. You said you had no patience for patterned projects and here you are just ripping one off for the Grand Kids...... very nice Glen. Would that be Bubinga that you are not sure of ? @ Derek!! Yeah my patience level might be higher for the Grandkids. I'm actually thinking Bloodwood on the red. Thanks. Derek-- Your patterned projects are way more complex than a checkerboard. If you were to make one I bet it would be an "outside of the norm for checkerboards" project. LOL yes I do like to twist things at times Glen. I can only wish to have Blood-wood available here in my area. I would have to buy an entire lift of it which I just can not justify. I have a load of Bubinga and it looks almost exactly like your blood-wood with a coat of lacquer. Must be the light and angle of the picture. 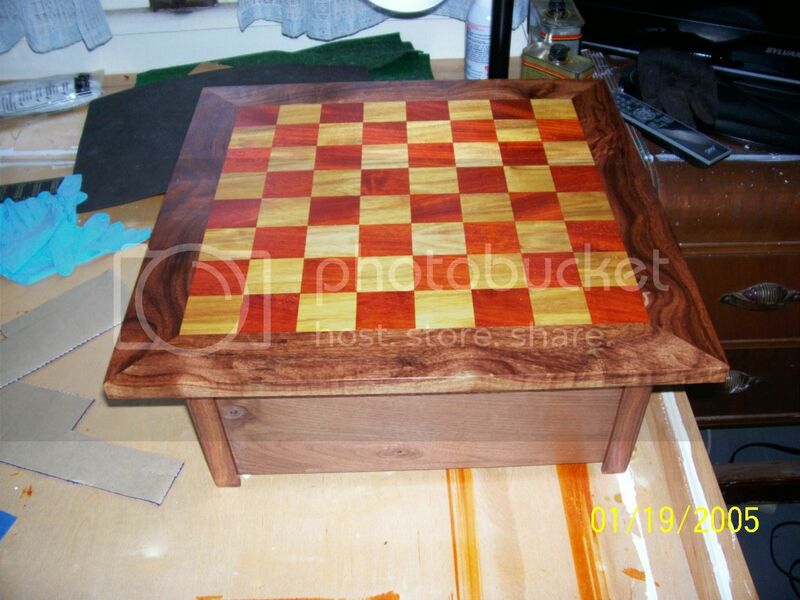 I really like what you built for a checkers table Glen the fit and finish looks superb. I hope the Grand kids put it to good use. Happy New Year if we don't chat before then. Thanks Derek. I picked all that wood up in New York at West Penn Hardwoods. I drive 2 1/2hrs to meet a good Friend of mine in Erie, Pennsylvania & then another 90 minutes to WPH in Olean, New York once a year. That trip is coming up here within the next 60 days if the weather cooperates. 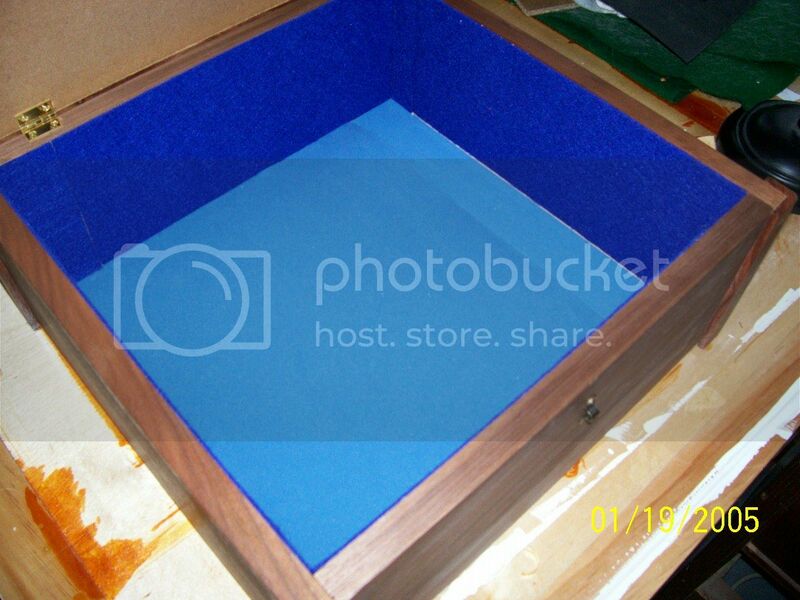 Looks like Bloodwood from them would run you $132.50 plus S&H for a 10bd/ft minimum order. This year I'm looking to grab some 1/4 sawn White Oak & maybe some exotics. Depends on how much WO I grab. If the price is right it might be a lot more than I originally planned on.